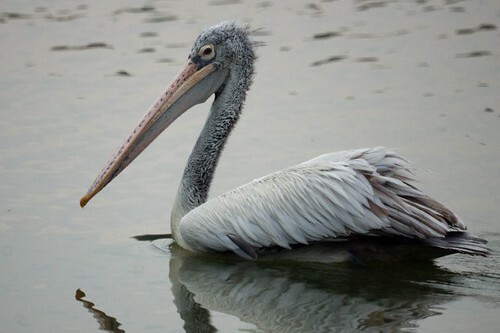 The Spot-billed pelican, also known as the Grey pelican (Pelecanus philippensis) is a member of the Pelican family found in coastal and inland waters – large lakes such as the one found in Lalbagh, Bangalore. 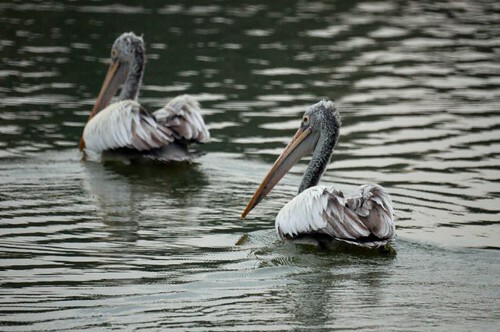 Although they may be difficult to identify at a distance, they are small when compared to other pelicans. Furthermore, they can be distinguished by the row of spots on their upper mandible, as denoted in their name. The throat pouch is also spotted. They have a dusky white plumage, with a grey chest and a tufted head. The pouch is pink to purplish with the bill tip being yellow to orange. 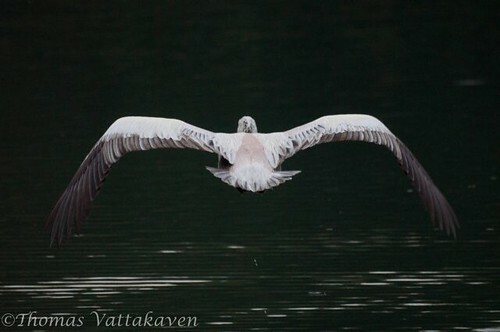 In flight they resemble the Dalmatian pelican, but the wing tips are darker and a the tail is rounder. 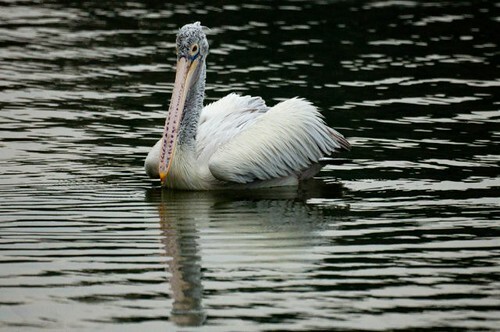 Like most other pelicans, these birds use their large pouch to scoop up fish from the surface of the water as they swim. They usually feed singly or in small flocks. 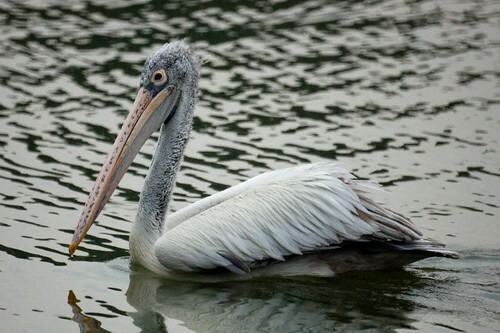 These birds were once used for fishing by fishermen in parts of Eastern Bengal, as an oily secretion by the birds were thought to attract certain types of fish. This species was once common and widespread in Asia. Recently, however, this species has suffered a dramatic decline and breeding populations are today confined to India, Sri Lanka and Cambodia. 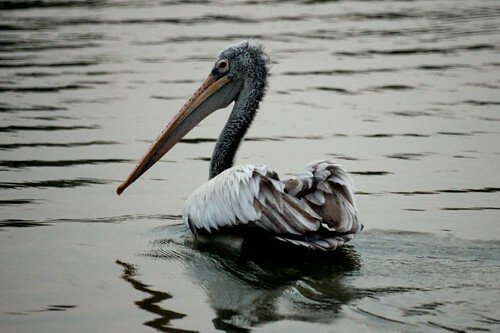 They are now classified as Near Threatened (NT) on the IUCN Red List 2007 are are a protected species. 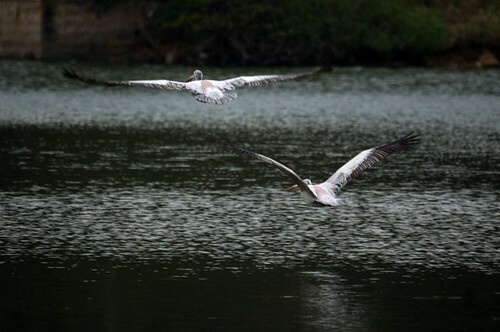 The next time you are in Lalbagh, Bangalore, head for the lake and keep an eye out for these lovely birds.